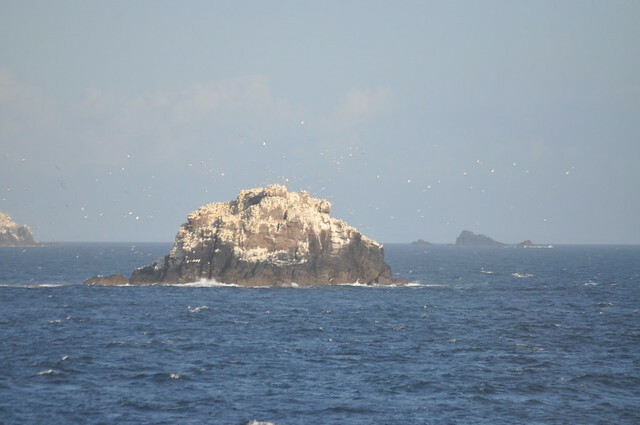 One of the joys of the Channel Islands is the myriad sea birds - from the terns nesting on Brehon in the Little Russel, to the puffins near Gronez on Jersey's north coast, to the ubiquitous gulls - black-backed (greater and lesser), herring, and black-headed. 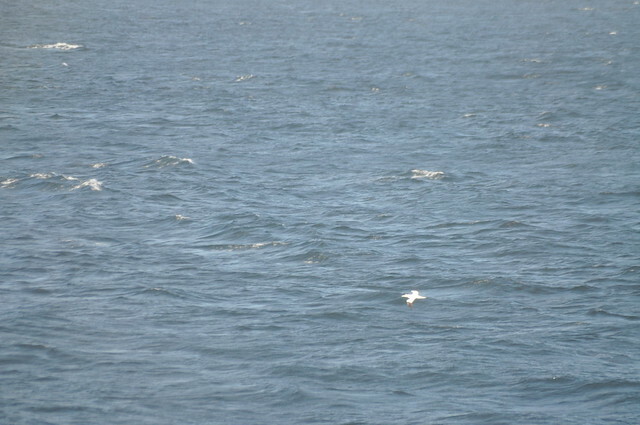 But there are birds you don't usually see from land, out in the Channel skimming the waves petrels, guillemots, and, of course, gannets. I braved the rear deck of the Condor Express as it sped towards Alderney, and watched a gannet skim the waves, black wingtips and yellow beak. Hmmmm. All that dried guano would be great fertilizer.